Today’s smart TVs collect a lot of information about you beyond your knowledge, sometimes without your consent. Last year, Vizio was fined $2.2 million for collecting user data wihout properly informing consumers. VIZIO smart TVs … capture second-by-second information about video displayed on the smart TV, including video from consumer cable, broadband, set-top box, DVD, over-the-air broadcasts, and streaming devices. But such invasive data collection is not limited to Vizio. 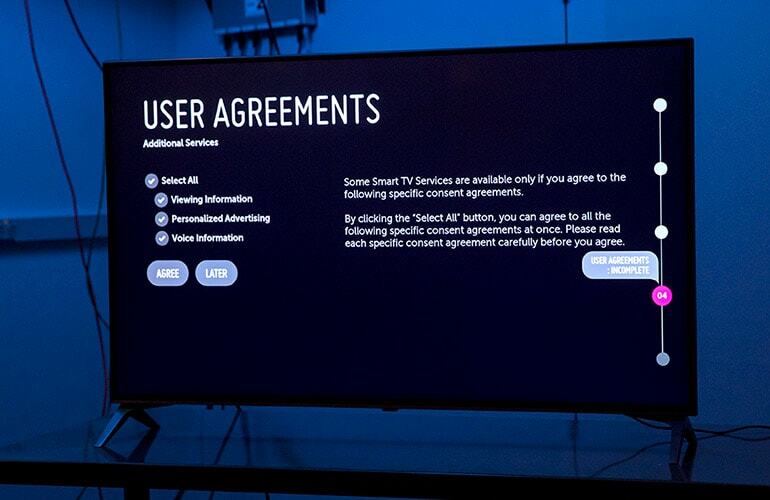 Consumer Reports reported that all major brand smart TVs use a technology called automatic content recognition (ACR) to keep track of what you are watching. ACR enables the TVs to send data to third parties on everything you watch, be it a Netflix movie, a YouTube video, an over-the-air TV broadcast, or DVD from your private collection. And the snooping is not limited to ACR. Vizio TVs reportedly scanned your home network for connected devices and open file shares. The device types, names of device manufacturers, and shared file names are sent back to Visio. The picture on the top of this post is from a marketing presentation by Samba TV, which has struck deals with roughly a dozen TV brands (Sony, Sharp, TCL, for example). 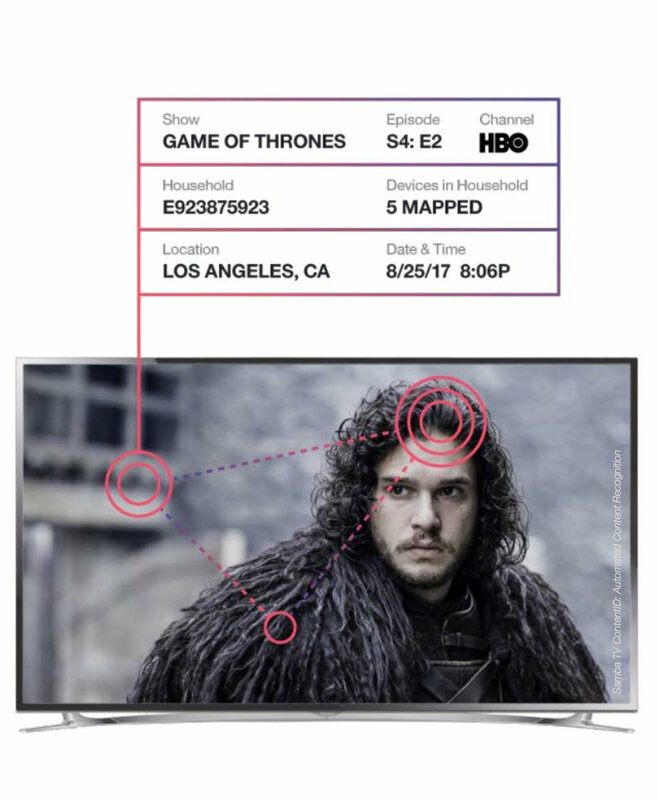 As you can see, they not only know what you are watching, but also your location, identity (household ID), and other devices connected to your home network. Is there a way to turn off snooping on smart TVs? According to Consumer Reports, there is. You are expected to be extremely vigilant when you set up the TV. You need to read each screen of privacy policies and user agreements carefully, and don’t just click “okay” to each. If you are using one of the five major brands investigated by Consumer Reports, there are detailed instructions on how to turn off the snooping features. If the smart TV does not let you turn off the snooping features, or if you are not sure that it actually does turn off snooping after you made the selection to do so, you can use your WiFi router to block the data transmission. Put the smart TV on its own isolated network. The purpose of putting the smart TV on an isolated network is to prevent it from discovering other devices and file shares on your network. If your smart TV is connected by wire, find out if your router supports VLAN. You need to create a VLAN and connect only the smart TV on that VLAN. If your smart TV is connected via WiFi, then you need to create a guest WiFi network and enable WiFi client isolation. Block the transmission of snooping data. After the smart TV gathered data about you, it has to send the data somewhere. Either back to the vendor, or to a third party for analysis. Blocking the data transmission effectively protects your privacy. But first of all, you need to find out the domains or IP addresses where the data is sent. Then use your router’s access control features to block these domains or IP addresses. This is not an easy task for the average user. You might need to learn how to use Wireshark, which requires a lot of technology know-how. The pcWRT router makes it easy to accomplish these tasks. If you are connecting the smart TV by wire, go to the Network Settings page. In the VLAN section, select X1, X2, or X3 for the port you want to connect the smart TV to. Save settings. Then connect the smart TV to that port. If you are connecting the smart TV via WiFi, go to the Wireless Settings page. 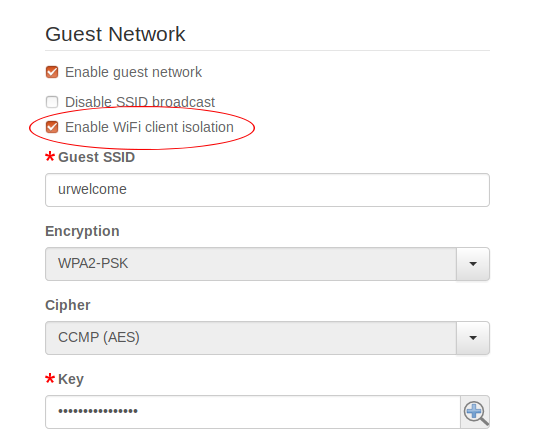 Enable guest network and enable WiFi client isolation. Save settings. Then connect the smart TV to the guest WiFi network. Go to the Access Control page. Create a new profile and enable Access Control. Add the smart TV to the profile. Save settings. Use the smart TV normally for a while. Then go back to the Access Control page to view Internet Logs. Click on the smart TV host name to see all Internet connections initiated from the smart TV. Find out the domains or IP addresses you want to block from the log above and enter them in the Blocked URLs box on Access Control page. Alternatively, you can use white list blocking instead of black list. 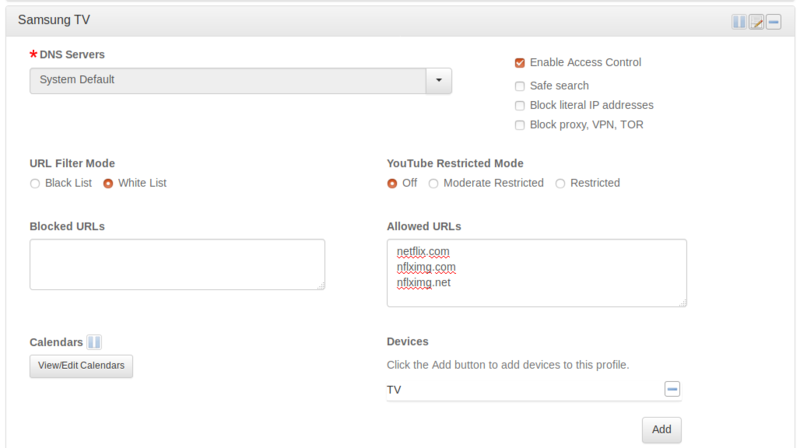 For example, if you only watch Netflix on your smart TV and don’t need Internet connection to other domains, you can choose White List filtering mode and enter the Netflix domains in the Allowed URLs box.